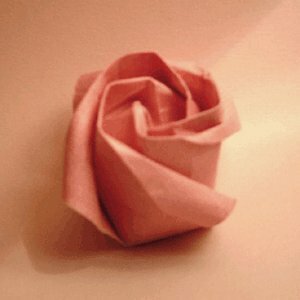 This beautiful origami rose is the best gift for a loved one! Giving a rose that you have folded yourself is a gesture of pure love and devotion. Obviously, a lovely glossy red paper will be very effective for the rose, but for a different take, why not try some cooler colours or patterns? For a printable pdf version of the rose instructions, click here. For other beautiful flowers, click here. Make a Simpler Rose - Robyn's Rose! Click Here.